I have about one and a half months to empty my pantry before moving back to Europe. It is a hard task, looking for recipes, making up others, all based on what is in there. Sometimes you wonder why you bought certain ingredients. There must have been a reason, you tell yourself. I’m sure I had the best of intentions and maybe even a plan which for some reason didn’t materialize in something incredibly delicious. The biggest challenge is also not to get to Europe looking like an inflated balloon! So many things waiting for my attention in the pantry and not a lot of time left. I want to keep it as healthy as I can until the end for me and my family. So recently I discovered I had bought three different types of wholewheat flour. The reason is a bit blurry now but it became the perfect excuse to find wholewheat recipes. When I think about healthy recipes here in Mexico I always think about Chef Oropeza who has done a great job in recreating healthier versions of some Mexican classics and creating others to change the food mentality here in Mexico. His books and magazines will certainly accompany me to Austria. 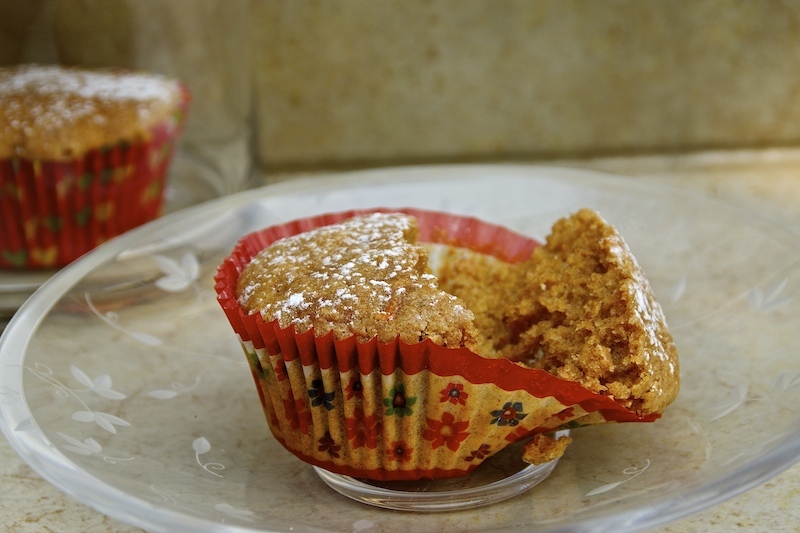 These guilty free wholewheat carrot muffins were just what I was looking for tea time. My daughter and I had one of our famous mother-daughter picnics. We enjoyed the sun, the fresh breeze and our insect and bird population which visit our garden daily. It’s funny how you start appreciating certain things more when you are about to lose them. We will miss having a garden, the sunny afternoons and above all this country and its wonderful people! Preheat the oven to 180ºC/350ºF. 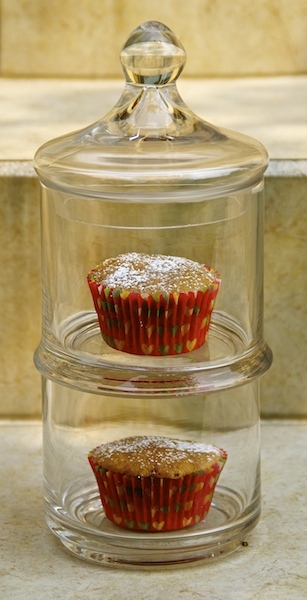 Line a muffin pan with paper muffin moulds. In an electric mixer beat the sugar, eggs, cream, melted butter, milk and vanilla extract until well combined. Add the dry ingredients, flour, baking powder, cinnamon and salt and mix until smooth and creamy. Add the grated carrots and fold in. Pour the batter into 2/3 of each mould and bake for 20 minutes or until golden and a toothpick inserted in the middle comes out clean. Remove and let them cool down. It couldn’t be an easier recipe! Enjoy! Thank you so much Silvia! As for the butter I somehow omitted the cup part, my fault 🙂 It is already corrected, thanks for pointing that out! Do let me know how they came out. They are very healthy!